The author of two adult novels: The Sound of Butterflies, which won Best First Book (Fiction) at the 2007 Montana New Zealand Book Awards, and Magpie Hall (2009). Her latest book is Red Rocks, a novel for children, set on Wellington’s wild south coast, a retelling of the selkie myth. It has been selected as a finalist in the Junior Fiction section in the New Zealand Post Children's Book Awards 2013. Rachael’s work has been translated into nine languages. Rachel spent a formative year in 1983 in Hastings, attending the Rudolph Steiner school, before moving back to Auckland, where she grew up and spent early adulthood playing in rock bands and working for alternative radio and magazines. 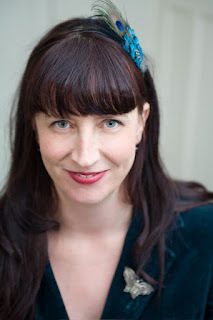 She currently lives in Christchurch and is working on new novels for both kids and adults.